I encountered this overgrown gravestone at a local cemetery a while back, and was moved by the idea of this couple reunited in death after so very long apart. It also set me wondering. Accepting the concept of an afterlife (I’m not entirely convinced I do), presents a number of possible conflicts for this pair. 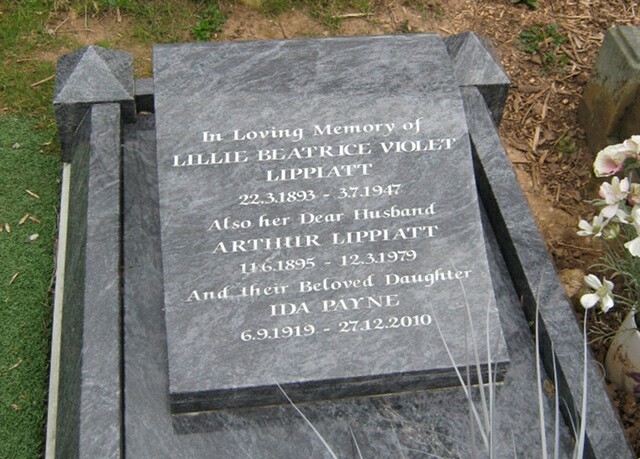 For starters, given that Lillie was 54 when she died and Arthur was 84, I wonder how much they’d have in common. And it also seems that Arthur didn’t remarry, and presumably therefore spent the latter 32 years of his life as a swinging bachelor, or mourning his lost love. What impact would these details have on his reconciliation with Lillie, not to mention all the changes the Western world experienced between 1947 and 1979? Yep, I’m all kinds of intrigued by this scenario. How about you?